The Heritage Area Board and consultants have been working hard to finalize the themes and other details of the proposed Upper Missouri River Heritage Area. This background information now has gone to our National Feasibility Advisory Council, made up of Carrol Van West, Ellen Baumler, Jay Buckley, Gerald Gray, Sr., Micheal Duchemin and others. JOIN US for the latest information on themes, boundaries and more on January 30, 2019 at 6 p.m. at the Black Eagle Community Center and on January 31, 2019 at 6 p.m. at the Agricultural Center in Fort Benton. What's the latest on the Heritage Area? Join Us for an Update and Co﻿mmunity Conversations in May! 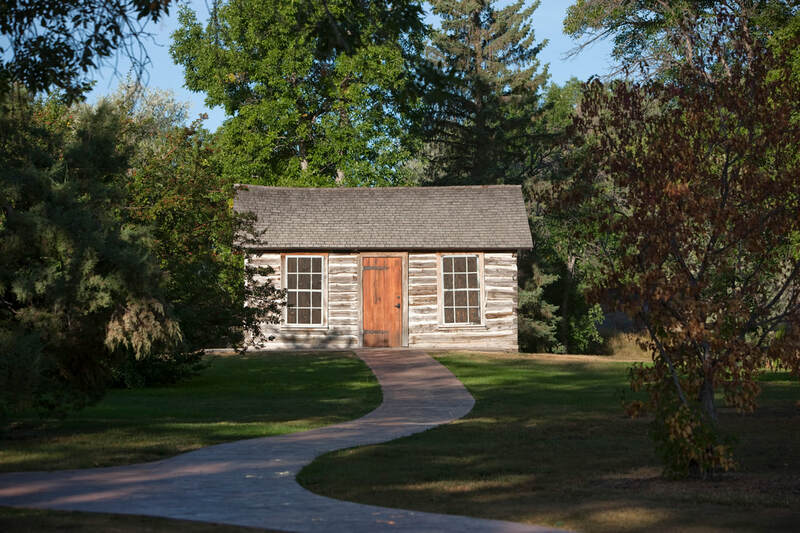 Want to learn more about the efforts to create a Heritage Area here in Central Montana? In January, nationally acclaimed consultants Nancy Morgan and Augie Carlino came to the area to help us work on our proposal to create the Upper Missouri River Heritage Area, from Fort Benton to the Gates of the Mountains. 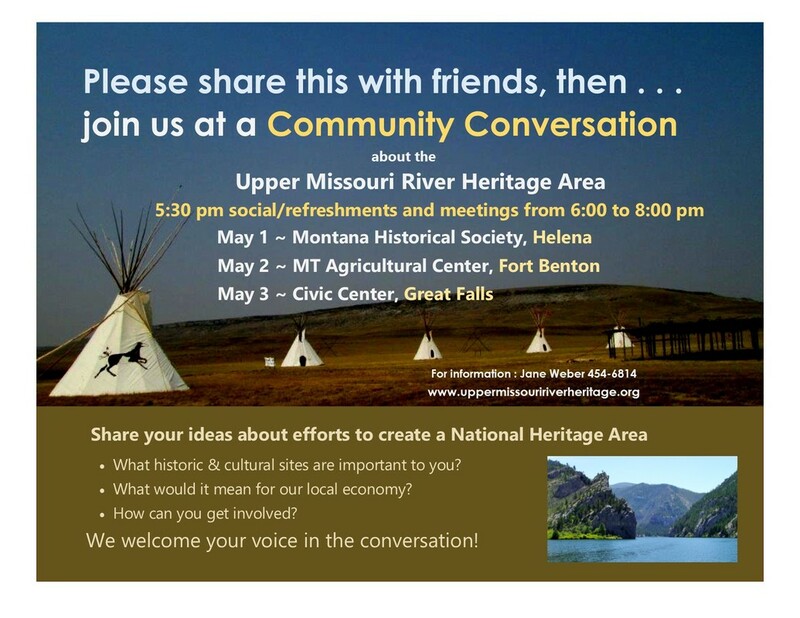 They will be back in early May, to talk to folks in Fort Benton, Great Falls and Helena, to bring everyone up to date on what they've gathered so far and hear from the folks as to what they think. They will also be discussing how Heritage Areas throughout the country have helped to boost their local economies. Come learn more about our work at these three Community Conversations, each from 6 - 8 p.m. In Helena, the meeting will take place on May 1 at the Historical Society. 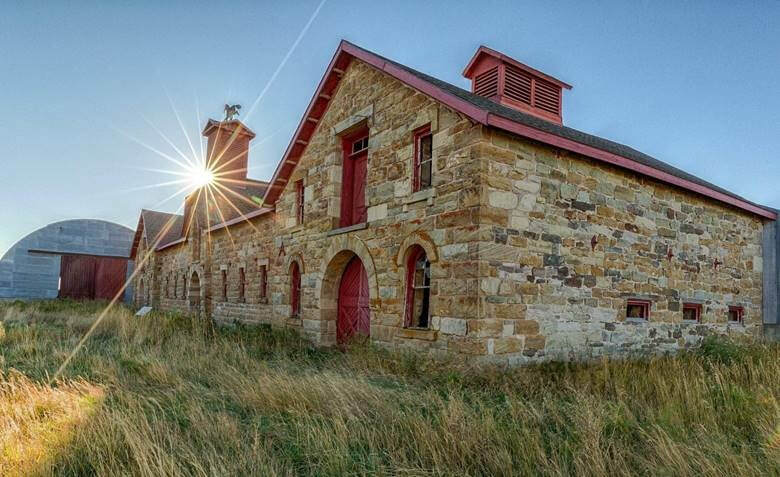 In Fort Benton, the meeting will take place on May 2 at the Agricultural Musuem and on May 3, the meeting in Great Falls will take place at the Civic Center. Refreshments will be served. Questions? Call Jane Weber at 454-6814. See you there. Why Central Montana for a Heritage Area? Central Montana exemplifies Big Sky Country. Spectacular open horizons plunge into deep ravines and canyons where the Missouri River carved its path across the prairie; evidence of our First Peoples marks the land; and stories of historic steamboat trips and harrowing exploration escapades leap from the pages of leather-bound journals. Central Montana, where the real west captivates the imagination of archeologists, anthropologists, historians, artists and modern-day explorers, is poised for additional tourists and corresponding new economic development. States with NHA's have experienced positive economic growth and community vibrancy. NHA's across the nation notably attract secondary service and retail businesses in communities within and near such landscapes. Central Montana will be no different - communities along the Missouri River and outlying arenas of the NHA can anticipate increased business. To achieve national status, a community must prove the cultural, historic and natural ecosystem form a cohesive, nationally significant landscape. Congress requires the submission of a Feasibility Study as a part of the process. A Feasibility Study assembles available resource information, demonstrates community support and provides justification for Congressional designation. Having four National Historic Landmarks within our proposed NHA boundary is a strong indicator that we have stories of national significance about America and our nation's heritage.